ESAN University was founded in 1963 as the first academic Graduate School of Business Administration created in the Spanish-speaking world. Its organization and implementation was entrusted to the Graduate School of Business of Stanford University, California. Since it’s founding, ESAN efforts have been directed at strengthening the professional management in Peru and Latin America against international standards. It has established international recognition with 10 double-degrees and over 60 exchange agreements. The university received AMBA accreditation in 2002 and AACSB accreditation in 2013. Universidad de los Andes of Management (UASM) was established in 1972 and is one of the top business schools in Latin America. It has received recognition by the three most prestigious international certification bodies – AACSB, EQUIS, and AMBA, and it is one of the few universities in the world that has received such recognition. 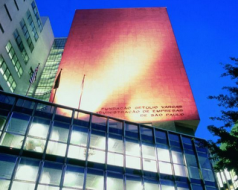 The university believes that it is only through close relations and co-operations with other top universities in the world that can maintain the high standard of business related studies, so UASM actively seeks to exchange and build relations with schools like the Harvard Business School (HBS) and the Wharton School. FGV-EAESP is the first university in the South America to be accredited by AACSB and EQUIS. Since its founding in 1944, the university has produced many influential politicians and businessmen in Brazil, including several successive presidents of the Central Bank of Brazil. In last year’s 2007 MBA ranking by Financial Times, FGV was placed No. 32 worldwide, not only is it the top university in Brazil, but it is also the best in South America. The school is the first in Brazil, to set up business management and business law programs. FGV values significantly the exchange of ideas with other oversea universities, which coincides with CNCCU’s viewpoint. What is worth mentioning is that NCCU and FGV share as many as 20 partner schools in common, including University of St. Gallen in Switzerland, York University in Canada, University of Maanheim in Germany and so forth. Founded in 1962, Universidade de Brasília is as old as Brazil’s modern capital-Brasília and ranked No. 204 in the world by world university rankings 2010. 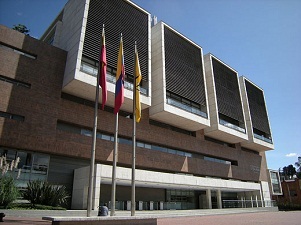 The university is the only federal university located in the capital city. Since its establishment, it was modeled on the American collegiate system; presently not only has the university abandoned conventional lectures but also replaced the traditional department-oriented structure with a college-oriented school structure. Currently, there are 20 colleges and 66 departments at the university. 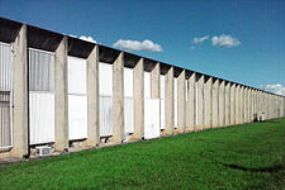 This “fenceless” school is reckoned as one of the most prominent concourses for cultural exchange in Brazil. It is also the heart of culture in the city of Brasília. The university’s principle of “openness” motivates the maintenance of an international faculty and also cooperates with many other prestigious universities through exchange programs.